Whilst finding myself with some time to kill at the end of a business trip to Brazil, and furthermore missing the antics at Valley Parade for the visit of Exeter City, I thought it might be appropriate to get some sort of football fix. The fact I was in Sao Paulo – the fourth largest city in the world with an overall population of some 20 million – coupled with the Brazilians’ fervour for all things football, sounded like a good recipe to address this. Indeed there are a number of clubs that turn out in the Sao Paulo area – these include Sao Paulo FC, Corinthians, Palmeiros and a bit further to the coast the famous Santos FC, with a famous ex-player in the shape of Edison Arantes do Nascimento (Pele to you and me) and more currently Neymar Jr. So far good? Well no – given the vagaries of local fixture timings, together with a recent public holiday meant that most of the matches were either Sunday, clashing with my return to the UK, or, what initially seemed like a tempting evening kick off for Santos, turning out to be a logistical nightmare involving navigating a 50 km bus trip return leg back around midnight (the fixture not kicking off until 9.30pm!) – personal safety concerns/ common sense prevailing. 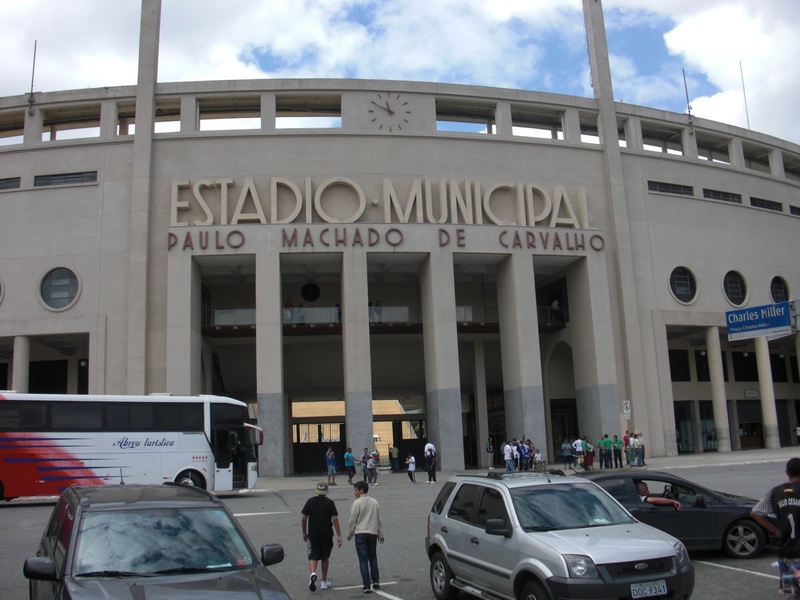 Accordingly, I ended up swapping the skills of Neyamr Jr for a trip to Sao Paulo’s football museum at the grandly titled, Estádio Municipal Paulo Machado de Carvalho. 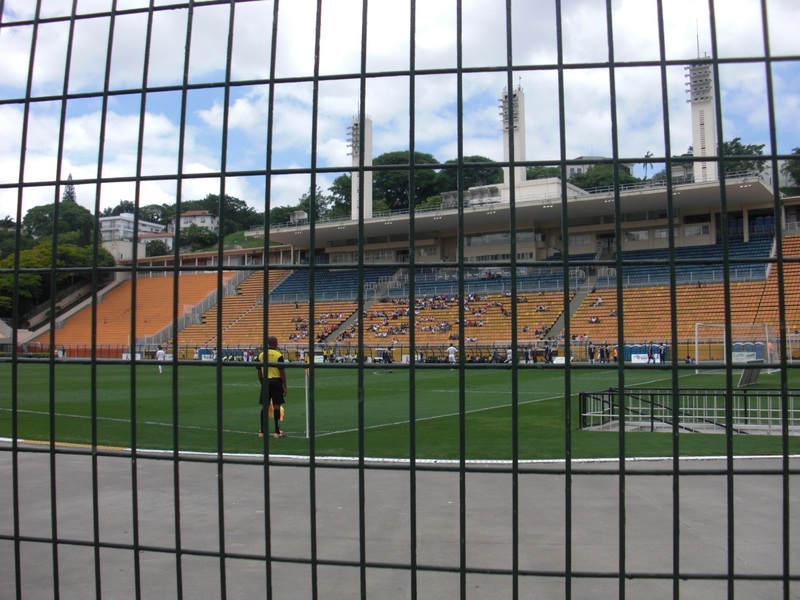 The museum, opened by the aforementioned Pele in 2008, is located within the stadium, which is currently used by Corinthians FC, one of Brazil’s richest clubs (although they are to move to a new ground in 2013). The stadium, opened in 1940, is uncovered with a running track around it (not quite Odsal, though), and currently seats around 40,000 (though they managed to squeeze some 72,000 into it, in the good old days of 1942). 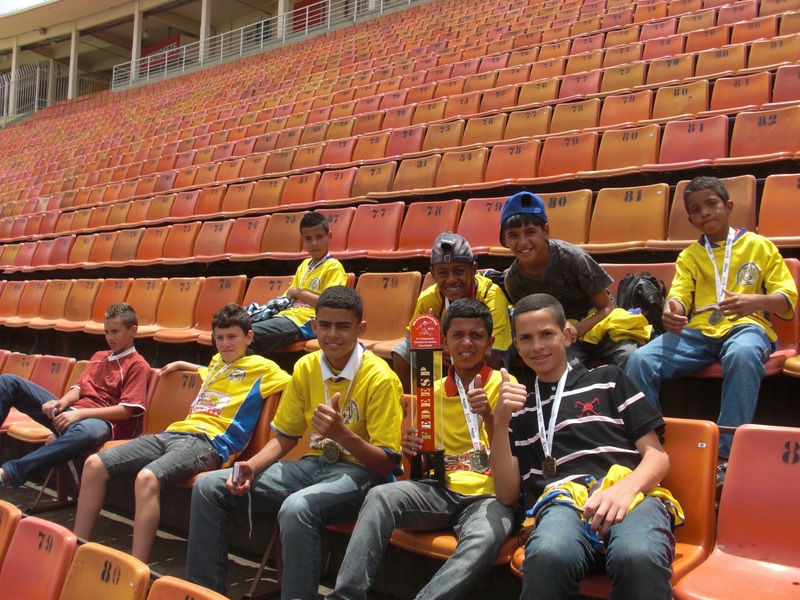 It is named after official Paulo Machado de Carvalho, who was delegate chief for the 1958 World Cup won by Brazil. The ground hosted a number of World Cup matches in 1950. Whilst its football glory days are behind it, it has more recently hosted concerts by the Rolling Stones, Iron Maiden, the Red Hot Chili Peppers and perhaps more incongruently, Avril Lavigne. When I arrived at the stadium, there was no end of commotion going on with a group of fans chanting and beating on drums they were carrying. Intrigued that this was an unusual welcoming party for a museum, I wandered into the ground to find a match in progress, and a few hundred fans scattered around either side. Upon further inspection it emerged that some junior fixtures were underway – whilst I had missed an earlier match with more junior teams, a match, with what was probably under-16’s, was in full flow. I took a seat and began to watch the game. For what on the surface was presumably a low key fixture, there was certainly a great deal of passion shown on and off the pitch. As noted, there must only have been a few hundred in the stadium, but there was a considerable amount of noise made by these fans, particularly on the side of the stadium I was in. Interestingly there was total segregation of the small number of fans of each team, with them taking opposing sides of the ground, and a number of drummers were helping to whip up the atmosphere. The retro feel of the stadium was further enhanced by fencing surrounding the entire playing area. From speaking with the locals, the derby matches, in particular, can get a bit ‘tasty’ and probably helps explain the security measures! As for the match, you couldn’t help be impressed with the technique of the young players, particularly the forwards when attacking. The almost obligatory close control, twists and turns were all apparent, albeit there was a noticeable lack of composure when in on goal, and some of the lay-offs were a bit heavy. Indeed, both goals I saw were scored from close range headers and a little bit ‘scrambled’. Free kicks also disappointed with a couple sailing well over the bar, and showing none of the flair of Roberto Carlos or other Brazilian dead ball experts we’ve become used to. What also was evident, and in no way surprising, was the strong tendency of the players to dramatise tackles, to gain free kicks, and whilst the referee wasted no time is showing several yellow cards, you couldn’t help feel that the associated actions of the player fouled influenced the referee. 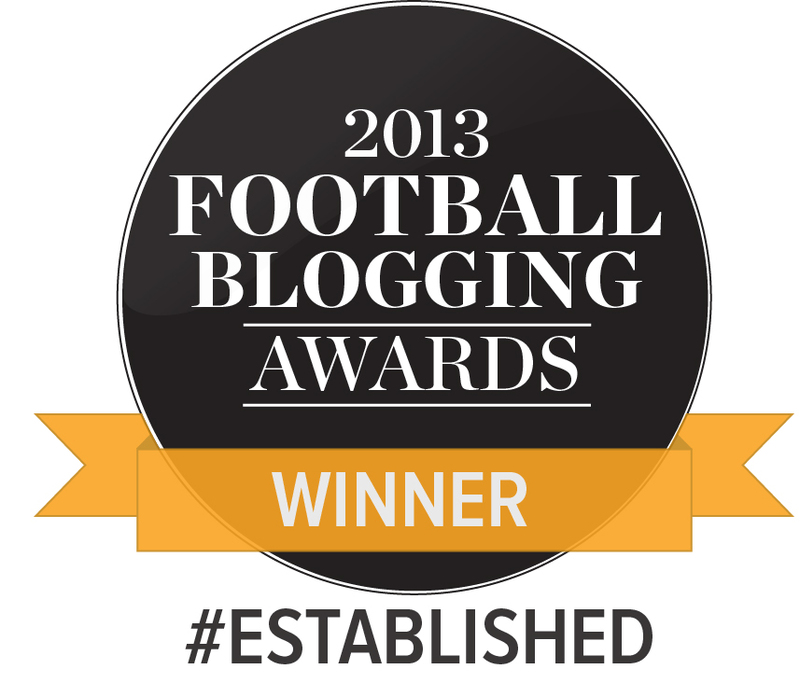 The goal celebrations were extremely well orchestrated and I sat there content, knowing that the trailblazing work of Edinho et al had not been wasted. So, overall very interesting to observe first hand and you wonder how many of the players will go on to make the grade in the Brazilian and/or other leagues. Whilst I missed the earlier more junior match, members of the winning team were more than happy to pose with their prize. Having whetted my appetite for all things football, the museum certainly didn’t disappoint. Whilst most of it is in Portugese, it remains a great experience – very interactive – you can select matches, ex-players to give narratives and so on, and charts the history of football in Brazil, starting with Charles William Miller, born in Sao Paulo but of Scottish parentage, who, flitting between England and Brazil brought football to Brazil in 1894, when he brought two footballs and a copy of the Hampshire FA rules back with him. He subsequently established (and played for) Sao Paulo Athletic FC and is regarded as the ‘father of Brazilian football’. 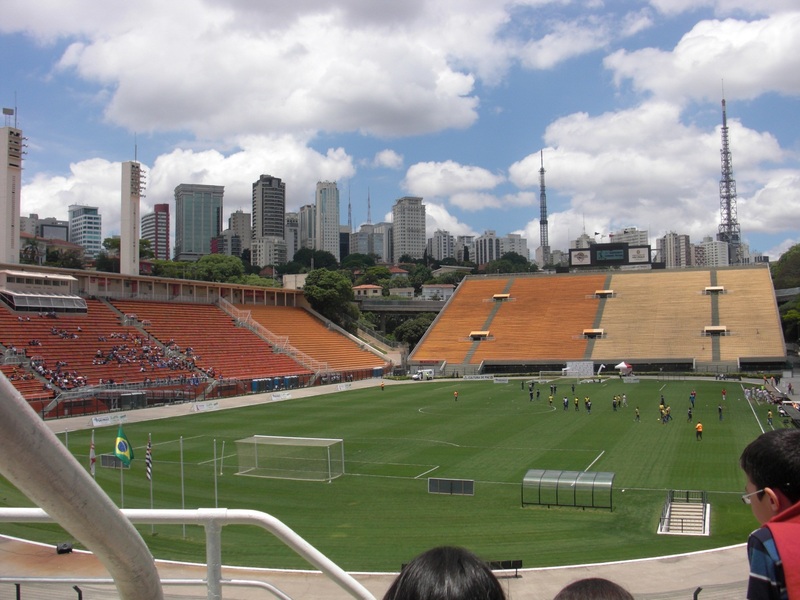 His forays between England and Brazil also help explain the existence of the Corinthians in Brazil (Miller played for the London based version). There are numerous sepia photographs around this time and even some early 1900’s video footage depicting some early football matches, which are fascinating to say the least. There is great detail on every World cup from 1950 – essentially following the self -proclaimed “rite of passage” when the heartbeat of Brazil stopped, following a 2-1 defeat to Uruguay (when a draw would have been sufficient), right through to the last World Cup. This is coupled with footage of people in tears in the stadium, and if you weren’t already in any doubt as to the significance of the match, this definitely rams things home. Clearly the locals have never experienced 10 or 11 years of decline through the English football leagues (or more precisely defeat at Accrington Stanley on a miserable English day). Exhibits are then centered around each subsequent World Cup, with video displays and pictures depicting not only the football, but key world events occurring around the time. All very well displayed and despite the language barriers, great to browse around. As expected, and further to the video welcome from Pele, there is considerable focus on the 1970 Brazil team and whilst this sounds a bit trite, you can’t help yourself being in awe of the related footage shown. It does however very much seem of a bygone age, and the footage of action seems incredibly pedestrian compared to today’s fast paced movement. In addition there is a wall of sound of sorts where you are surrounded by a number of screens depicting various crowd scenes displaying the whole spectrum of emotions from tragedy to triumph, somewhat noisily! This definitely captures the love affair of the Brazilians with football and it becomes quite captivating. As you get further through the museum there is even more interaction with 3D cinema, table fussball, an area where you can take penalties against a virtual goalkeeper (certainly no Matt Duke or Jonny McLaughlin) given the portly 50-something Brazilian women dispatching penalties with some aplomb past the keeper, and a 5-a-side sort of touch screen pitch you ran around on. 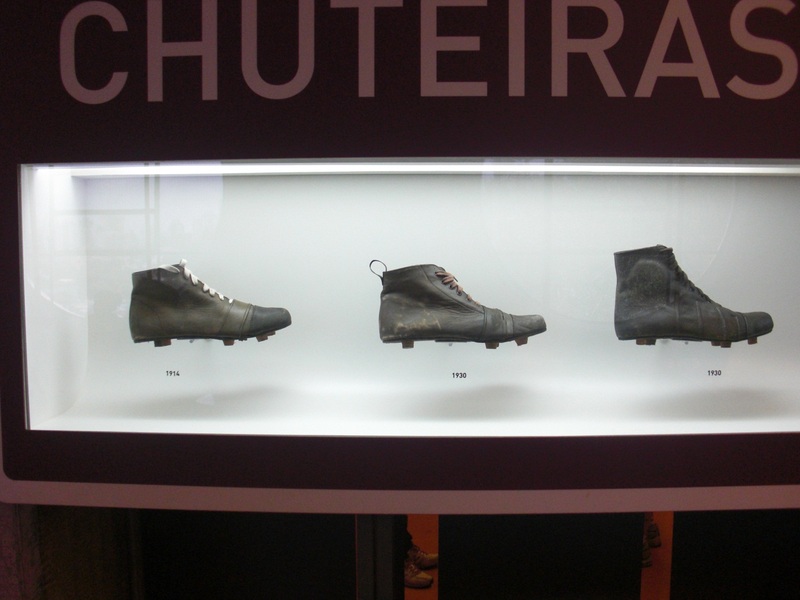 There were also historic artefacts such as old football boots and footballs, the earlier versions of which looked fairly scary! Indeed you would like to see Lionel Messi operate with either of the earlier versions of each of these! 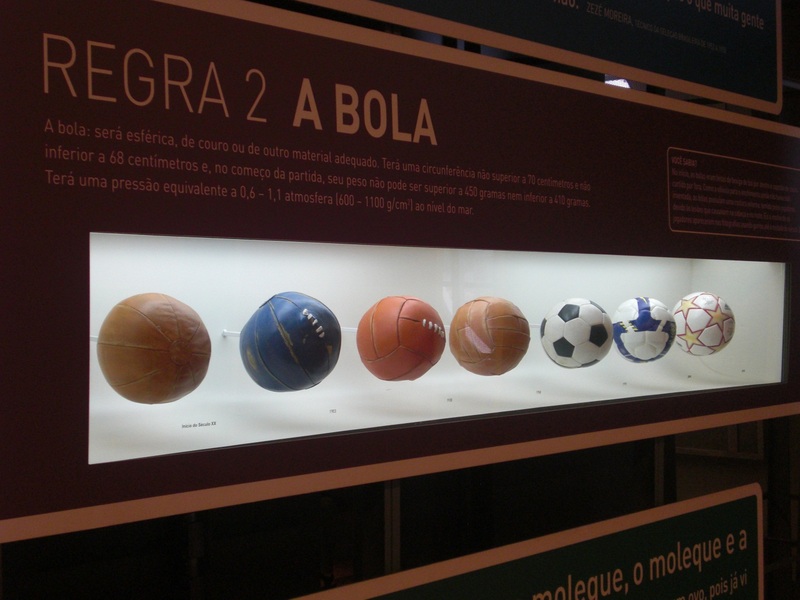 For about £2 admission, the museum was certainly worth a visit and went some way to capturing the unique love affair that the Brazilians have with “Futebol”. Whilst I didn’t encounter a single other English person during my visit, my Bradford City shirt drew some strange looks, particularly in the Nike affiliated museum shop, where shirts and other gifts were selling for eye-watering amounts. Good to place a bit of the right part of Yorkshire in these parts though! Whilst the visit maybe didn’t compensate for the missed game at Valley Parade, or the return of Tommy Doherty to VP, it was certainly a good way to spend some time and get an insight into Brazilian football that I didn’t have previously. If you are at a loose end in Sao Paulo definitely give it a try! good read. try the football museum now in manchester, (well presented area on 1911 and 1985) also excellent location in a modern cosmo city – makes bfd look decidedly third world….